OPPO Releases R17 Pro Teaser to Reveal Full Design and Triple Rear Cameras - Playfuldroid! The R17 series is slated to go official on Aug. 23 in Shanghai. 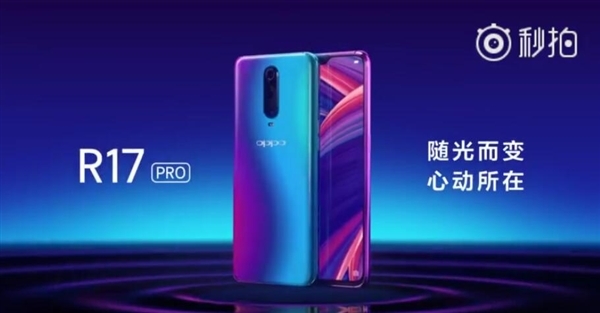 When OPPO had announced the R17 phone at the beginning of this week, it did not reveal the R17 Pro. However, since the past few days, the company has been building hype around the R17 Pro by releasing teasers on its advanced camera features. 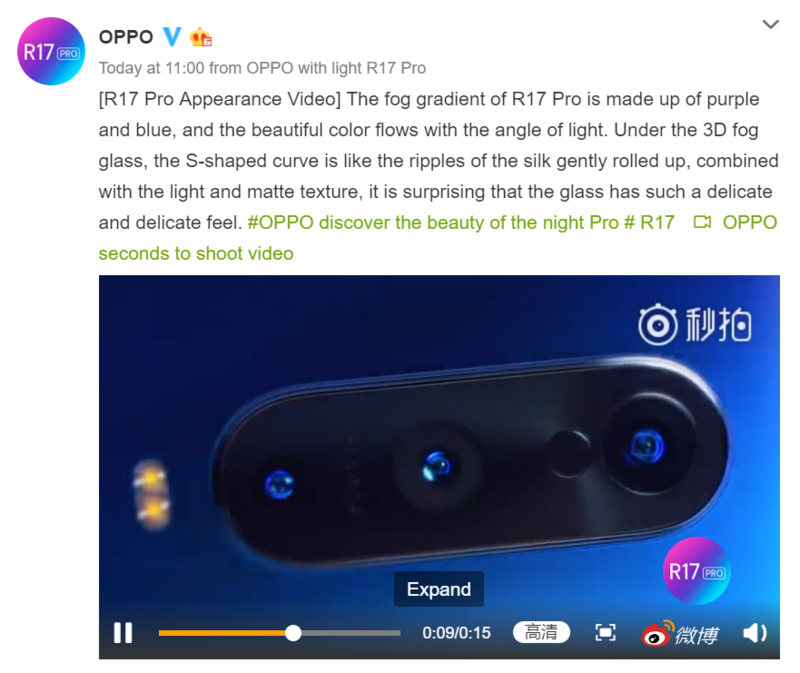 Finally, the Chinese manufacturer has revealed the R17 Pro smartphone through a teaser video on Weibo. The video (available in source link) reveals that the phone is equipped with triple camera system. The screenshots of the video shown below reveals that the R17 Pro will be sporting bluish-purple color gradient rear. Like the R17 smartphone, its Pro variant will be featuring a waterdrop display. It may appear that the R17 Pro sports a vertically stacked triple camera setup. In actuality, it could be sporting the same dual camera setup that is available on the R17 and the third one could be ToF 3D sensing technology. The OPPO R17 may go official as the world’s first commercially available with ToF 3D sensing technology. The ToF 3D sensing on the R17 Pro will allow to support AR features such as virtually trying clothes and enjoy MR games. 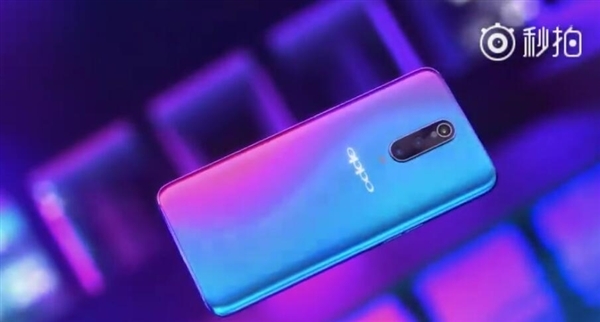 Even though OPPO has released the above R17 Pro teaser, it did not confirm on its ToF 3D sensing technology. Probably, the company will be talking on it in detail in the next week’s launch event.